Sandy, UT is a desirable place to live because of the majestic mountain views and the many outdoor activities that are in your back yard. Since Sandy is located in the Rocky Mountain region, there are four distinct seasons for residents to enjoy. The temperatures change drastically depending on the season. With freezing temperatures in the winter and hot days in the summer, it is essential that you are proactive to protect your home. Here at HomeStar Windows & Doors, we are one of the leading contractors in the greater Salt Lake area. We have experience with window installation, and we can help you keep your home comfortable all year long. 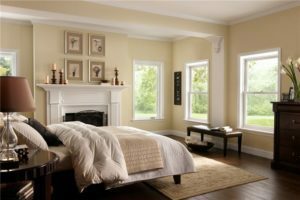 If you want to manage the comfort of your living space, then you need to consider the benefits of replacement windows and doors. 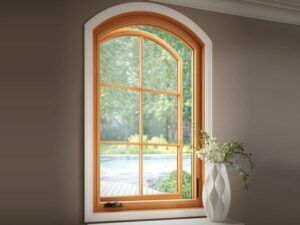 High-quality replacement windows will seal your home and prevent drafts from coming into each room. Energy efficiency is important for several reasons. First, an energy efficient home will make it easier for you to reduce your monthly utility expenses. If you want to save money on the cost of owning a home, then you need to be sure that you are proactive to improve the energy efficiency of your property. Another benefit of energy efficiency is to reduce your consumption of fossil fuels. In the Salt Lake valley, the air can be pretty bad when the winter inversion moves in. The actions of all residents contribute to the bad air quality that we are all breathing. The only way to reduce the inversion effect and improve the quality of our air is by making lifestyle changes. Energy efficiency upgrades can reduce your carbon footprint so that you aren’t a contributor to the problem. As the real estate prices change in the area, it is essential that you are proactive to maintain a high value for your home. Replacement windows and doors are a great way to boost home value. Potential buyers will pay a little more when they know that they are buying a home with high-quality materials. When the appraiser comes to inspect your home, they will see the excellent materials that have been installed. As a result, the appraised price of your home will go up. Asking a higher selling price will allow you to roll more equity into your next purchase. There are some beautiful neighborhoods in Sandy, UT, which means that you need to be sure that you are maintaining the appearance of your home to match the area. Without putting in money and effort for home improvement projects, your home might fall out of style. Replacement windows and doors will immediately upgrade the appearance of your home. You will notice a difference both inside and outside. Better curb appeal helps to set the right impression when friends and family come to visit. You can choose big picture windows to maximize your mountain views. These windows will help to maximize the amount of natural sunshine inside, helping to boost your mood in the cold winter months. Even if you live in a suburb area, there are still times when your peace might be disturbed by the neighbors. Are you tired of listening to the dogs barking or the noisy kids in the backyards? Replacement windows can be designed with insulated glass that helps to block the noises all day long. Not only will you block out the noises that are happening outside of your home, but you can also increase the privacy of your family at the same time. If you want to turn up the music while you are cooking dinner, high-quality windows will keep your home insulated so that the neighbors don’t hear the noise that is happening in your kitchen. The quality of your replacement windows will be determined by the quality of contractor that you hire. It is essential that you do your homework to choose the top windows installer in the greater Salt Lake area. Here at HomeStar Windows & Doors, we have worked hard to build a solid reputation in the area. When you choose our team, you can rest assured to know that you are getting access to the best products for your home.